checkout if shipping is not required. Our Alder Dimensional Lumber is cut to exact sizes lists. These pieces are NOT nominal widths. These pieces are S4S machined milled (surfaced on all 4 sides cut to width and length). Lengths: Sale of 2 feet required. * We can ship it in lengths up to 8 feet. Customers can specify length requests in the order notes during checkout. 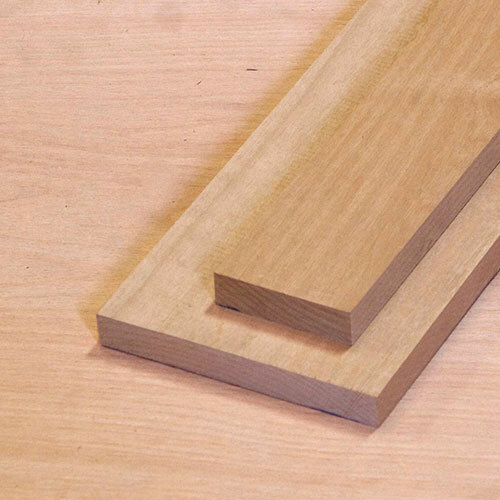 Alder wood is easy to work and finishes well. The color is a reddish brown and a light distinction between the heartwood and sapwood. Alder wood is a straight grained wood with uniform texture. The heartwood and sapwood are similar in color. Both are yellow to reddish-brown. It is also on the soft side, light weight and medium density. Alder is easy to glue, sand and stain. Click here for complete grading details in the NHLA Handbook. * Alder by the piece maybe sawn up to +/- 1/16″ of size listed. These Alder Dimensional Lumber pieces are solid hardwood. For specific requests please contact us. You can also place instructions in the order notes box at checkout. All orders will ship will 48hrs based on stock and availability.